The New Year party at the Taj Green Cove was a real blast, and the dance floor pounded into the wee hours of the morning. But that is no excuse for being silent for so long into the New Year. Well, if there is something of the likeness of an excuse, it is that I wanted to start off 2008 with good news. And good news it is, galore, for my first post of the year. Firstly, DLF-Hilton has officially made its presence felt in Trivandrum by putting its tag to a large property on the NH-47 Bypass, close of the Infosys Campus. No prizes for guessing that a super-luxury hotel is soon going to grown on this prime plot. And India's largest developer - DLF - is planning to develop multiple properties in the capital city. The arrival of DLF is in line with the growing flow of major developers southwards to Ananthapuri as they realise where the real market lies. DLF has been preceded by the likes of Oceanus, Unitech, Confident, SRK and Prestige. And many more are landing up. 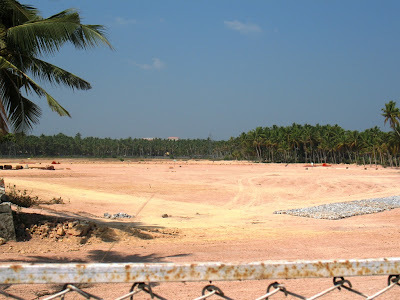 While work on the 1.5 million sq.ft Infosys campus had been pending for a while awaiting environmental clearance, the latter has finally be granted and work has kicked off. 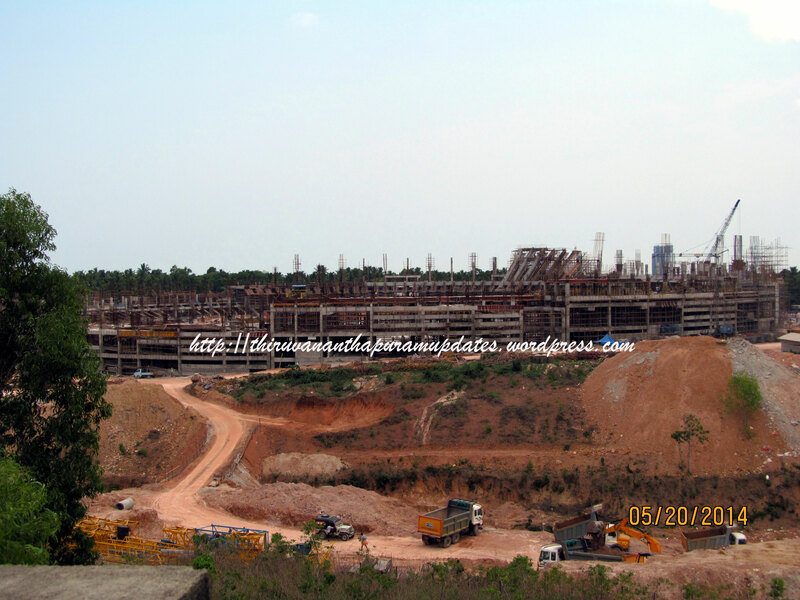 Construction equipment is flowing into what will be the largest IT campus in Kerala. The work is being executed by the Consolidated Construction Consortium Ltd., which has replaced Sobha Developers who seem to have fallen out of favour. And reflecting all this, a report released yesterday by international property management agency, Knight Frank, ranked Trivandrum as the top city in India among Emerging Growth Centres on five parameters - real estate, people, business environment, physical and social infrastructure. 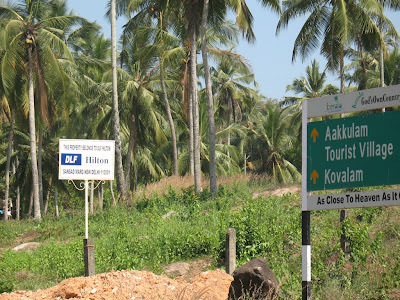 Trivandrum got top scores on all the parameters. Stay tuned for more, lots more!